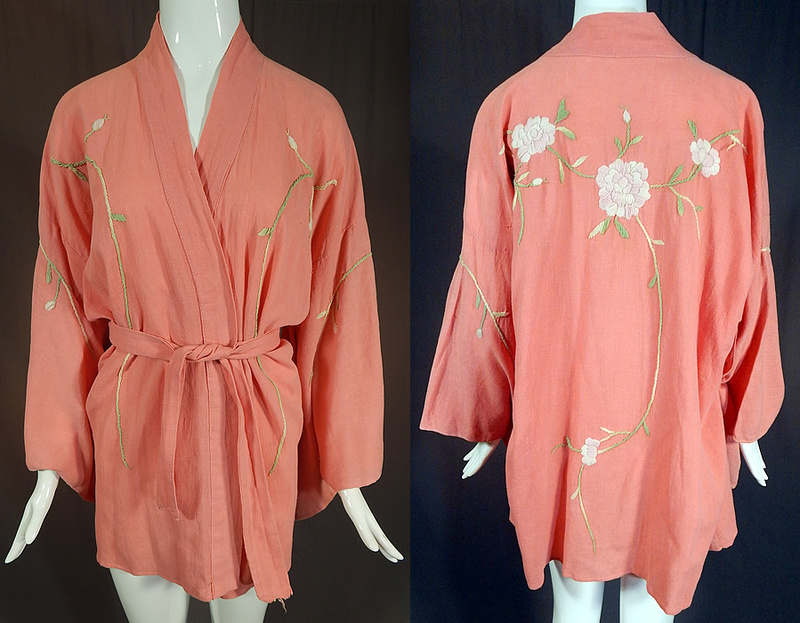 This vintage Japanese pink peony floral embroidered muslin belted kimono robe dates from the 1920s. 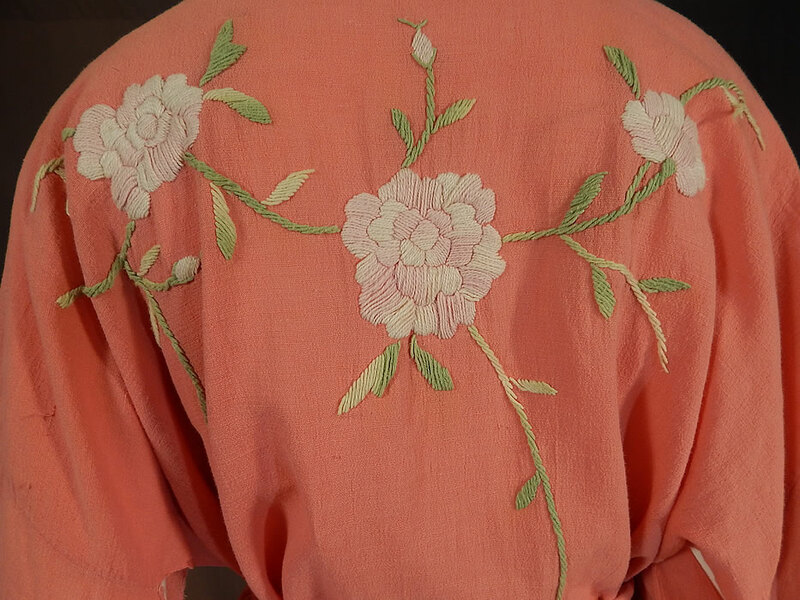 It is made of a pink cotton muslin fabric, with pink pastel ombre yarn raised padded satin stitch hand embroidered peony flower vine leaf designs. 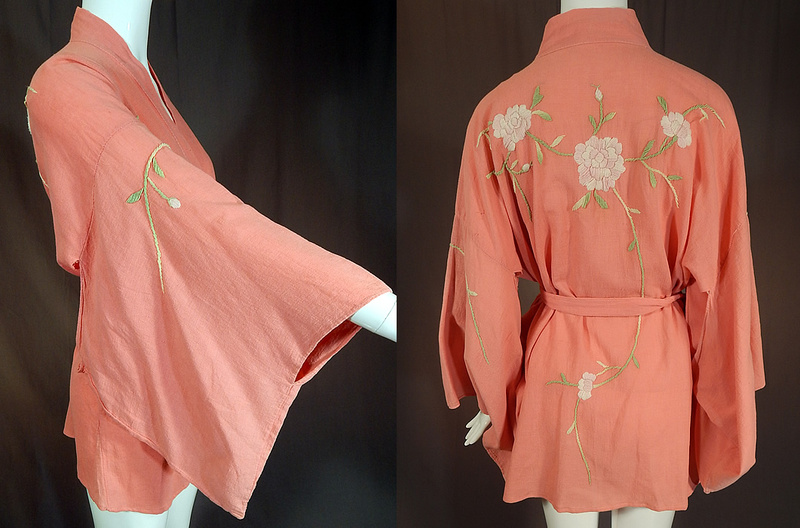 This pretty pink Japanese kimono short robe jacket has an open front with a matching fabric sash tie belt for closure, full kimono sleeves and is unlined. 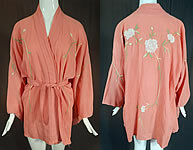 The kimono measures 30 inches long, with a 48 inch chest, 48 inch waist, 25 inch back and 53 inch long sash belt. It is in excellent condition. This is truly a wonderful piece of wearable Japanese textile art!